We’re happy to welcome two new outstanding DJs to the bureau45 artist roster, DJ Angelo and Mr. Nice Guy! 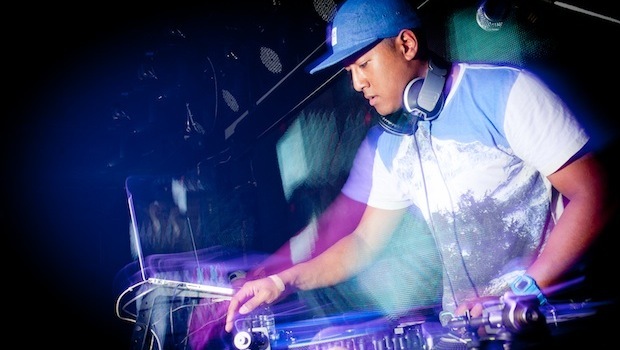 DJ Angelo is a genuine turntable master and passionate entertainer. He played some of the most important venues and festivals worldwide side by side with artists like Skrillex, Diplo, Public Enemy or Krafty Kuts, to name but a few. Rooted in Hip-hop, House, Funk and R’n’B, his “Feel Good Fusion” blend of urban, funky bass sounds is dedicated to make his global audience happy – and dance. Find out more here. Mr. Nice Guy knows how to stand out of the crowd – but also when to step back and let the audience take the centre stage. Whether as a Red Bull Most Wanted DJ or regular tour companion of Martin Jondo, Mr. Nice Guy played festivals such as Summer Jam or Ruhr Reggae Days. But don’t expect him to just play around with Reggae sounds or Hip-hop charts: he’s more likely to serve fresh mash ups and unheard remixes that meet with unseen joy behind the turntables. Read more here.